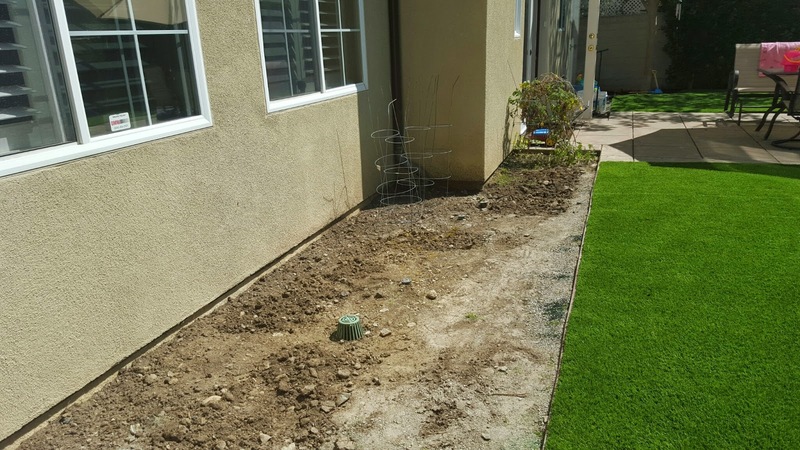 The Civilized Engineer: Yard Part 5: How does your Garden Grow? 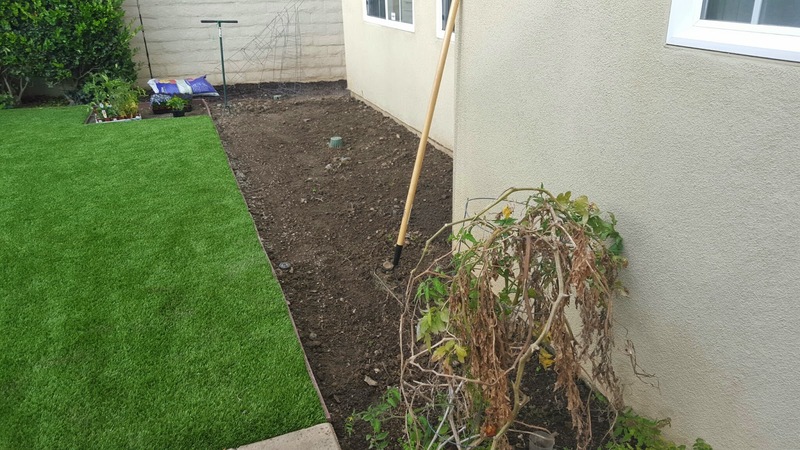 Yard Part 5: How does your Garden Grow? With the contractor (mostly) done, it was time to plant our annual summer garden! 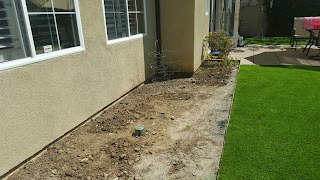 This isn't exactly part of the yard project, since we plant it every year, but it was the next thing we did, so here goes. We were way late getting started because of construction. 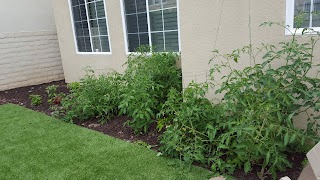 We still have the great great great grandpa tomato plant that we planted in 2012. Somehow he also survived construction, including no water for at least a week. He looks pretty ragged in this picture, but he trimmed up alright. 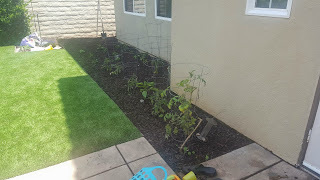 I wish I had more pictures of us planting our garden, but I let my toddler helped and we were literally covered in mud from head to toe. 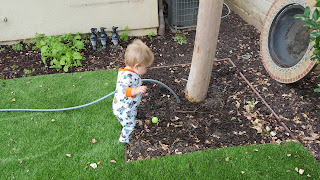 My husband reminded my several times that it was MY idea to include our kids. 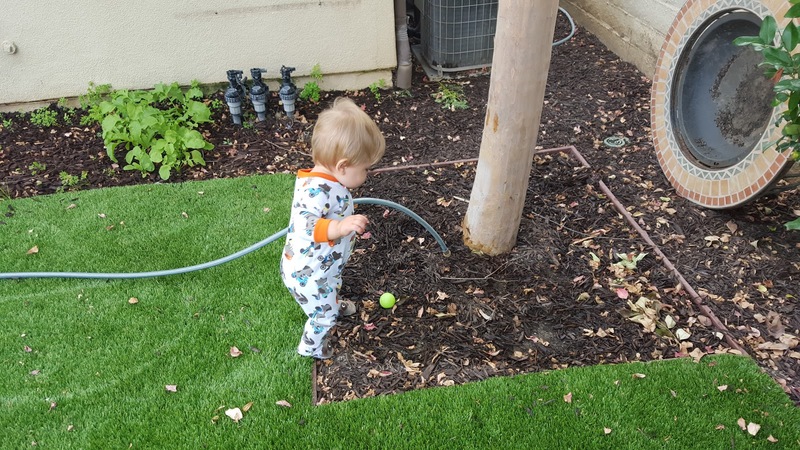 But one of my biggest reasons for having a grden was for the kids. 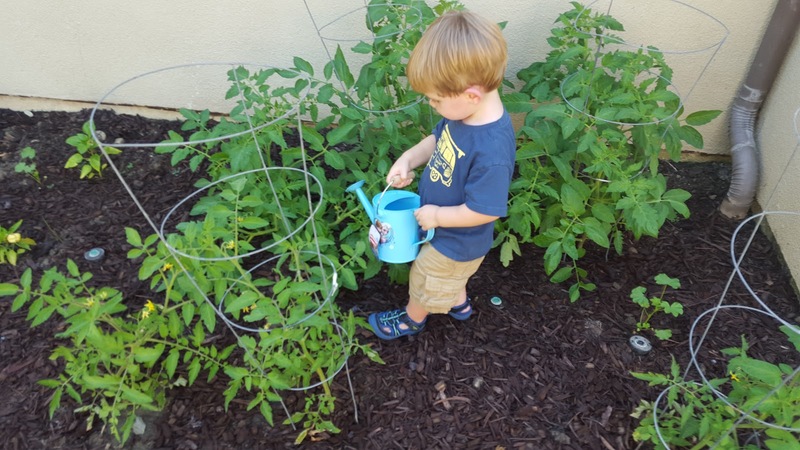 I want them to get to experience the magic of watching things grow and eating food that you grew yourself. 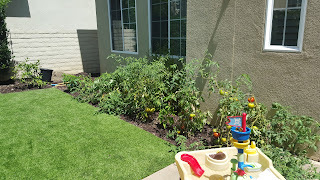 Sevreal months in, our little garden has gotten bigger. But not without help! 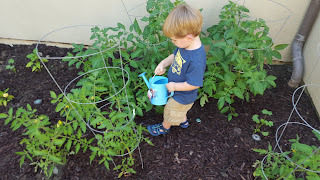 both kids have helped watering the plants and taking care of them. 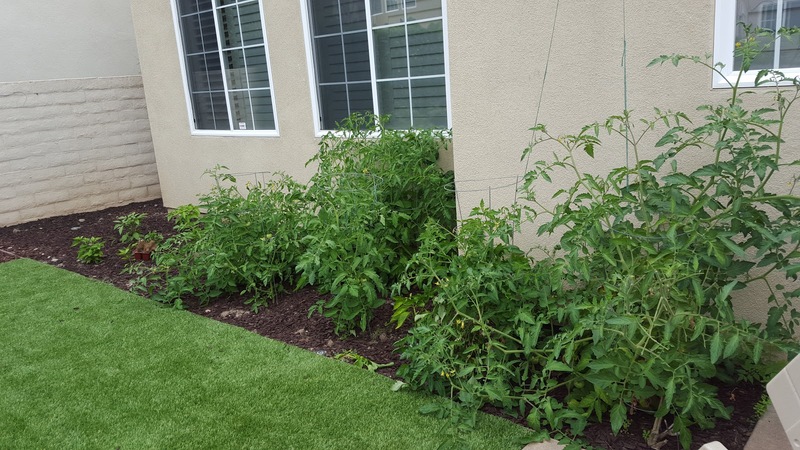 A few months ins still a long time for little guys to wait to see the 'rewards' of their efforts, but we are starting to get tomatoes and peppers and the yare so excited! 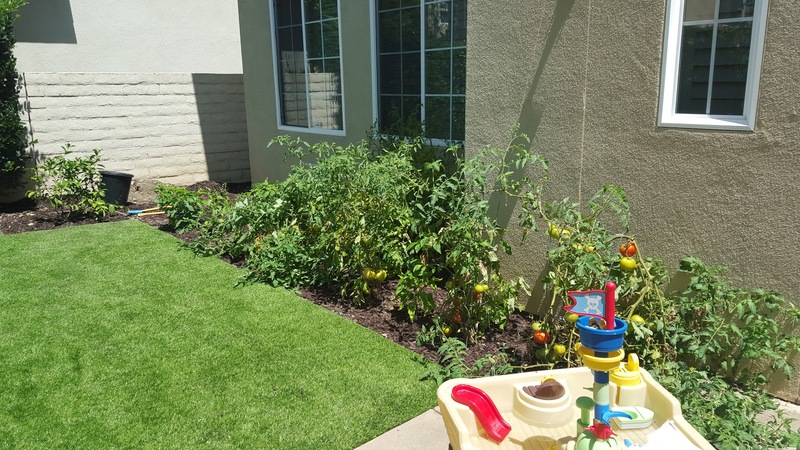 I remebering tending my garden as a little girl and I am so glad we incorporated it into our yard so we can share those experiences with our kids!